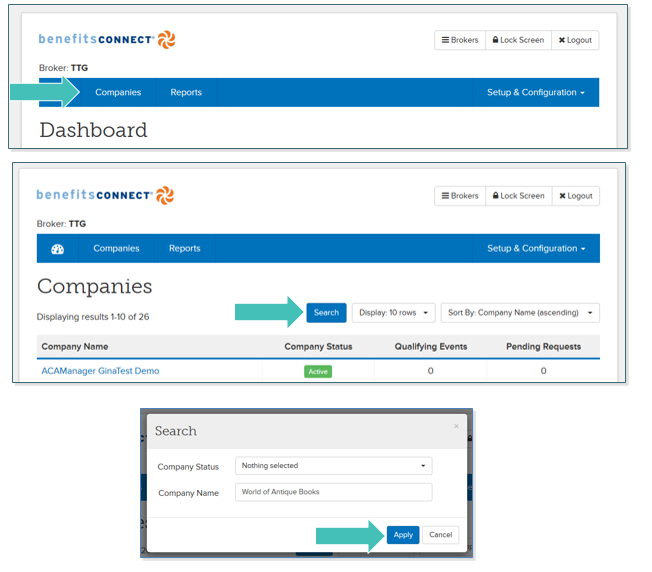 Login to benefitsCONNECT® through https://enroll.benefitsconnect.net. You will use the same ID and Password for Marketplace as you will for benefitsCONNECT®. Click on Companies and a list of your Employer Groups will be shown. Then select the company you wish to view from the list provided. Alternately, if your list of employer groups is large, click Search after selecting Companies and enter in the company name into the appropriate field and click Apply.